Whether it’s due to the red robes in The Handmaid’s Tale, the red dress dancing lady emoji or Little Red Riding Hood, there’s no escaping scarlet this season. And hurray for that because as the days get ever greyer, a pop of primary colour is a real tonic. OK, it's not real suede - c'mon what do you expect for £49.99?! 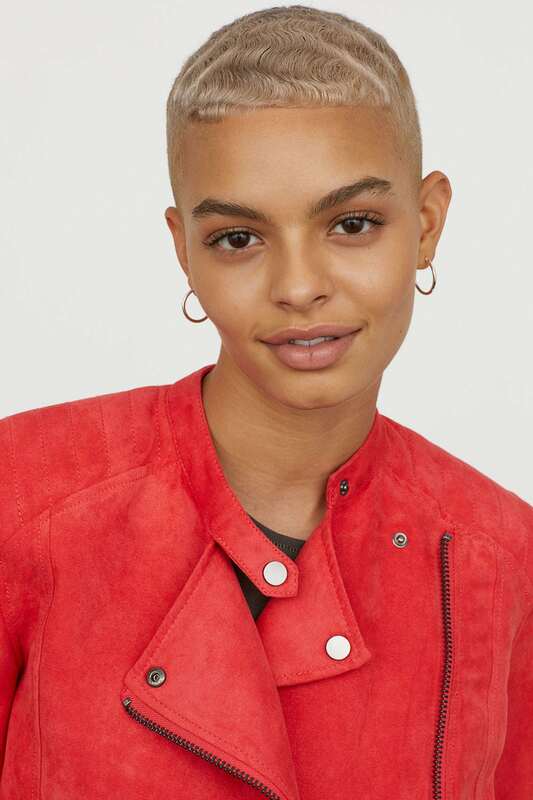 - but this biker jacket will add a shot of pizzazz to any old jeans and T-shirt combo. This & Other Stories wrap dress is supremely flattering. Tip: it'll look amazing with leopard-print ankle boots. How cool are these? It's hard to think of an outfit these hush boots won't instantly update. Gratifyingly, the heel is low enough to be practical as well as stylish. 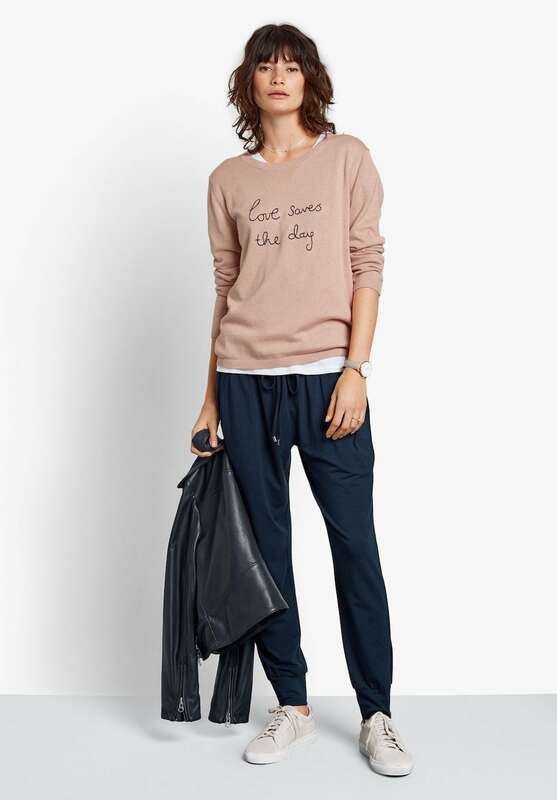 This autumn you can let your top do the talking – and these jolly mantras mean that even if you’re in a massive mood it at least sounds like you’re a lovely little ray of sunshine. Result! We're feeling good about this crisp white tee from River Island. Just add jeans and a wide smile. Sugarhill Brighton create a bright'n'breezy range of slogan sweatshirts from their seaside studio (god, I love alliteration). This one is, well, magnifique. Loving the muted tone of this long-sleeved tee. Don't forget to push up those sleeves to nail your modern casual vibe. 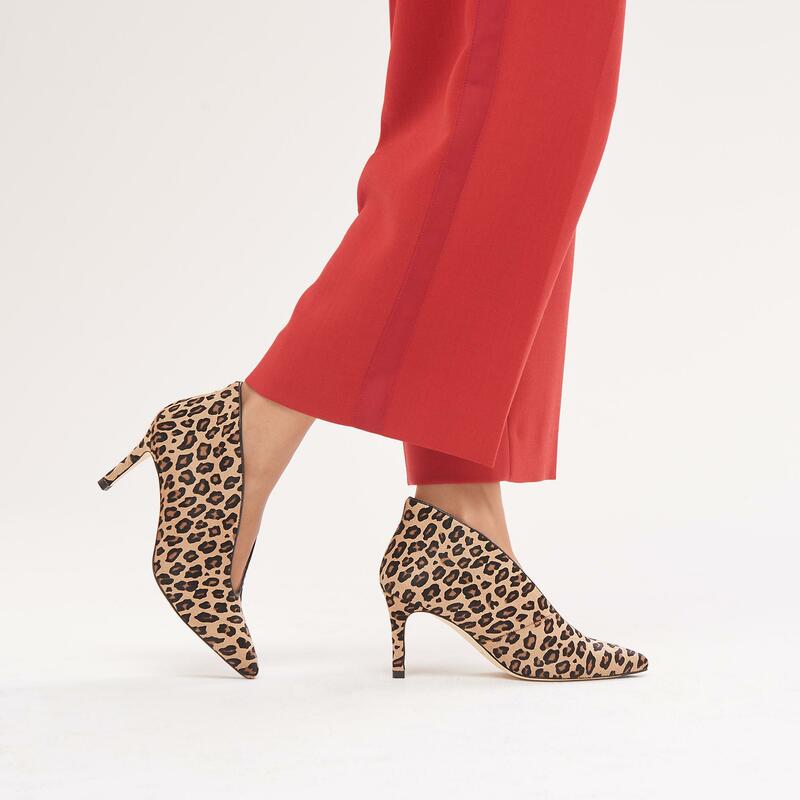 Anyone who’s stepped into a busy bar or restaurant recently and wondered if they’ve walked in on a Bet Lynch convention will have clocked that leopard-print is ubiquitous this season. Here’s how to get a dash of animal magic in your life. 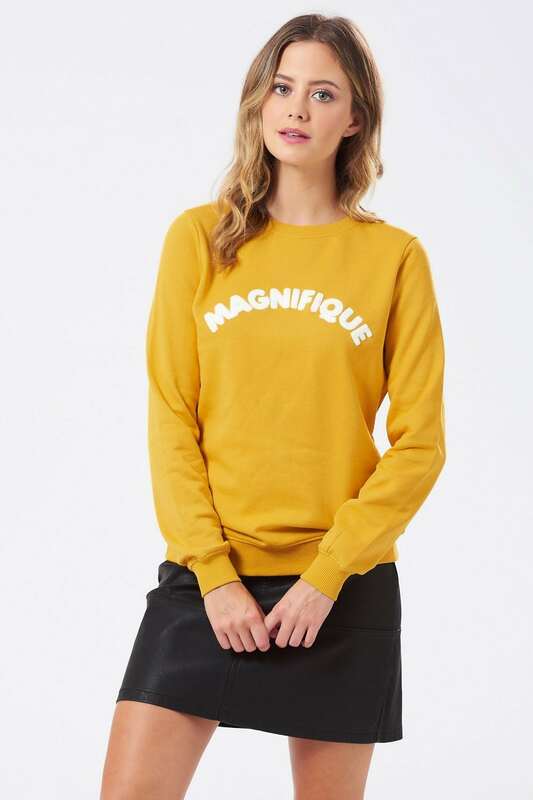 This Mango skirt is cracking value at £35.99. Just add white trainers and T-shirt, black biker jacket and go, go, go. No need to put the central heating on just yet - this mohair and wool blend & Other Stories sweater is deliciously cosy. How are these for statement courts?! 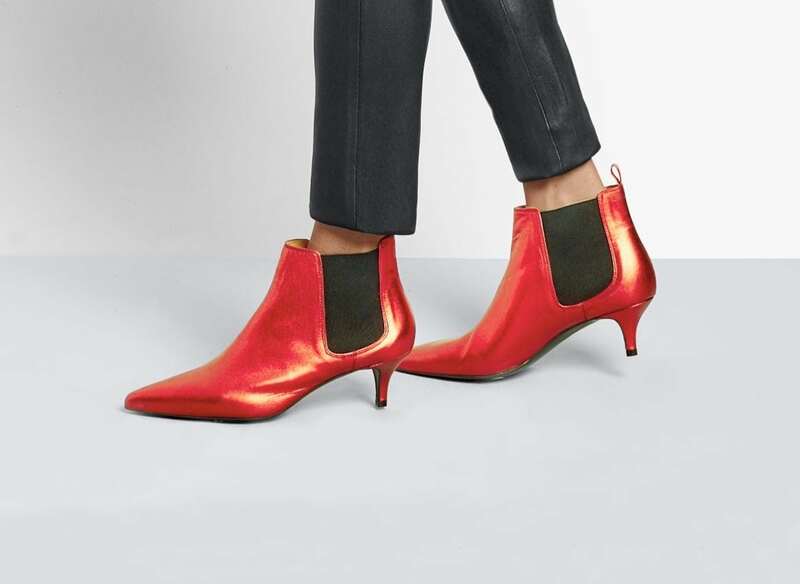 We love the modern shape for Autumn – half shoe, half ankle boot – and the fact that they’ll look equally good in the office or out on the town. Don’t save your show-stopping sequins and shimmer for evening – these days sparkle is acceptable even when you’re eating your Cornflakes. Here are three pieces to help keep you twinkly all day. 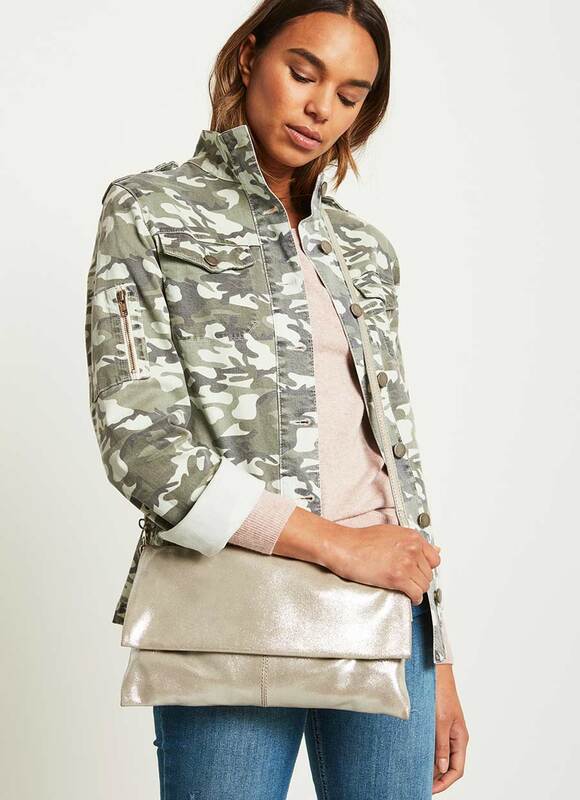 This New Look top is very subtle - it's basically the gateway drug of daytime metallics. Also available in pink. How cool is this? This Mango sequinned pencil skirt in the prettiest aqua shade works with white, black or navy. Make sure you keep the rest of your outfit ultra-simple. Think of metallics as a neutral - they'll go with anything. Case in point, this silver leather clutch from Mint Velvet. 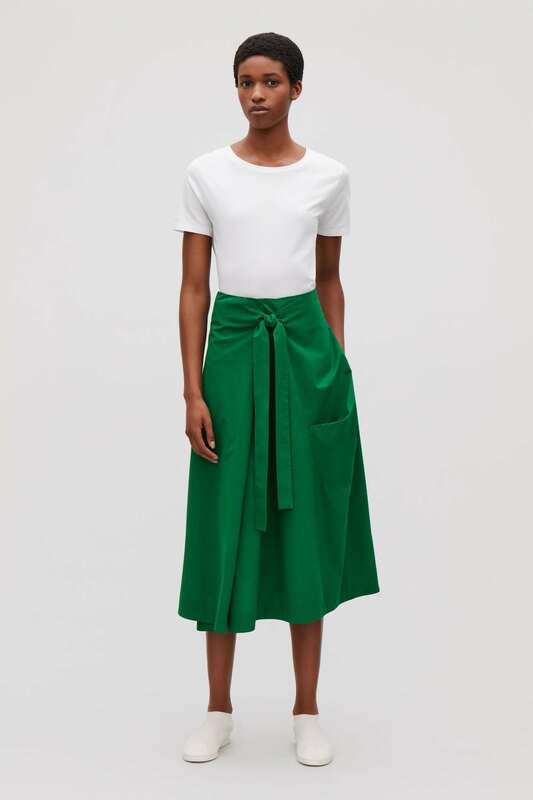 This skirt length is very much here to stay – are midi-skirts the new jeans, I wonder? I wear mine with a simple white T shirt and trainers, or ankle boots on colder days. There's ever more variations on the pleated midi this season - this floral print from & Other Stories is pleasingly different. I've got a thing for green, can you tell? 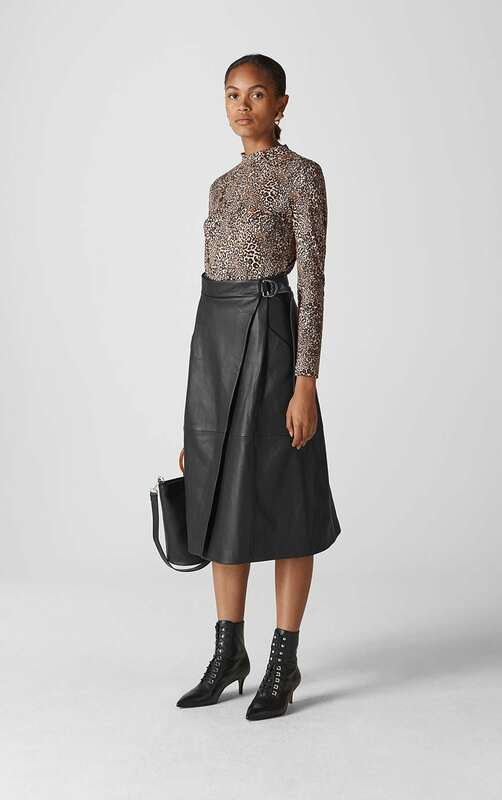 This Cos wrap skirt is ultra flattering and also comes in a stunning painterly print. Shall we go hell for leather? This isn't rock chick style though, it's a more elegant, expensive take, thanks to the midi length hem. This one's from Whistles at John Lewis.